The Session #41: Craft Beer Inspired by Homebrewing with White Birch Brewing Co. Welcome to The Session – a collaboration of bloggers writing on a common beer-related topic. For July, we at Lug Wrench Brewing Co. had the opportunity to choose the topic: Craft Beer Inspired by Homebrewing as the collective topic for everyone to explore. You can read more about Beer Blogging Friday (“The Session”) over at the Brookston Beer Bulletin. This month’s topic was the perfect opportunity to collaborate with one of the many small regional breweries in the New England area. During a recent trip up to New Hampshire, I nabbed a few bottles from White Birch Brewing Co. Driving back to Rhode Island, the lightbulb went off in my head as I contemplated topics for this month. What better way to talk about commercial beers influenced by home brewing than to talk with Bill Herlicka, owner and brewer of White Birch. Bill, who has been a prior guest on this blog for our Nanobrewery Interview series, was a long time homebrewer before taking the plunge last year and founded White Birch. The beer that I was most interested in talking with Bill about what his Berliner Weisse - an unique German sour wheat ale that is perfect for summer. And also one that is not commonly found on most shelves. Bill graciously agreed to talking about the beer and its influences, the summary of which is provided below. Lug Wrench (LW): In general, how does what you learned as a homebrewer helped you as a commercial brewer? Bill Herlicka (BH): I have only homebrewed prior to opening White Birch so I guess you can say it is a major influence as a commercial brewer. For example, I make the beer the way I want regardless of materials cost or time to age. It’s how I approached my homebrews and I have no interest in changing. The thought of trying to shave costs by shorting grain or hops in the hopes that the consumer won’t notice to me makes no sense. My beers are hand made, hand bottled, hand labeled and a bit esoteric. I like that and find going into the shop fun every day. I contrast this to a conversation I had with another brewer who had to justify any new beer and some continuation of popular new beers with a cost benefit analysis. He says his brewery owners were more interested in profits than a new beer that was proving popular with local drinkers (it cost more and took longer to make). Brewing is a business and an art. We all have to live with our choices and for me I want to make what I enjoy, not what a "bean counter" would enjoy. LW: Where did the recipe for the Berliner Weisse come from? BH: It’s my take on the style. I researched as many examples of the style as I could find, the history of the beer, and what recipes were out there online. From my research and tasting I found that the basics of this beer were a light wheat based beer and that it was made with either a sour mash or through the use of lacto bacillus. From my tasting notes I found I prefer the softer body of a lacto based Berliner over a (sour) mash. Sour mashes seem to have a sharper range of tart and additional flavors that either work or in some examples are a bit more than what I’d expect in the style. LW: Is there anything from your homebrewing days that influenced the Berliner Weisse recipe? BH: Yes, I’ve always brewed bigger beers. Making something this small took so little grain that I found myself pushing the grain bill up so it “looked” right. My hope is that people enjoy the beer and style purists let the higher ABV slide. After chatting with Bill about the beer, my taste buds were primed and ready to crack open bottle I had in possession. With the recent heatwave we've been experiencing the past few days, this was a great complement to relaxing on the back porch enjoying the thermometer returning to more tolerable levels. The beer pours a faint straw color, but remains cloudy with a haze. It produces a billowing white head which dissipates quickly down to the bubbling gold liquid. A lactic burst is the first thing that hits the nose followed by a subtle wheat/malt undertone. Hidden amongst the lactic is a faint wheat twang as well as a minor notes fruitiness and a slight hint of shellfish. The taste reveals a citrus-like acidity and tartness with an underlying wheat and malt flavor. A clean sourness, but not pungent, with no funk detected. The wheat/malt resides until the mid-palate where it falls off leaving a pleasant tartness that slowly evaporates away. The beer finishes very clean with a dryness and a lingering hint of citrus and lemon. Overall, the beer is a very refreshing, light, sour ale with enough tartness and clean sourness to cleanse the palate without fatiguing it. Dry and clean, it leaves little behind other than a pleasurable essence of lemon sourness. One sip just asks for another. I’d suggest 60% wheat malt, 40% pilsner, a very light hand with the hops and lacto. Don’t be afraid to step into the real wild bacteria. If you can make more than one style of beer at a time with different yeasts you can use wild “critters”. I do recommend dedicated plastic for bottling and stronger bottles than standard 12 or 22oz bottles too.. Heck, if you think about it, wild yeasts are in the air and on everything. If basic sanitation lets us brew a beer without an infection then why not use a cultured “critter”. I would certainly recommend anyone who find the beer to pick it up and try it. 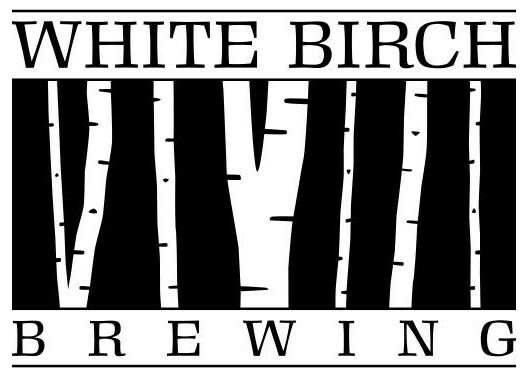 If you've been fortunate to have any of White Birch's beers, let us know what you thought. A) That White Birch beer sounds amazing. Hi guys, thanks for hosting-- I'm late this month, but my contribution from The Brew Site is here. That beer sounds delicious... my search begins.